Lesscars.org is a site devoted to promoting more energy efficient and environmentally friendly transportation methods. With today’s discussions about global warming and greenhouse effect it has become a major trend trying to find the new kind of transportation that both will provide with the freedom of modern cars while being a lot more environmentally friendly, the solutions are not only of technological nature but also psychological, changing the way the general public looks upon transportation, is implemented. Electric cars might seem as science-fiction today but the truth is that they have existed for over a hundred years, during the 1990s they were even a very upcoming means of transportation in the United States of America. The electric car is as clean as they come, running solely on electricity. Unfortunately the interest for these vehicles has never met the goals set by the producers, mainly because the batteries takes hours to recharge and will only take the vehicle 80 miles or so. Tesla and a number of other companies are set to change this. Hybrid cars are a combination of a standard vehicle and an electric car making it possible to choose. 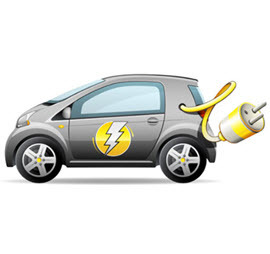 While inside a city the car can run solely on electricity creating no pollution at all and once inside the standard engine kicks in giving the vehicle both the speed and range of a standard car. With a clever design this vehicle recharges itself and will never need to be recharged externally, although with an external recharge system the car will both be cheaper and cleaner. All cars can be made greener with the use of modern equipment and responsible driving. You do not need to spend a fortune on your car to make it greener. There are a number of small things that you can do. 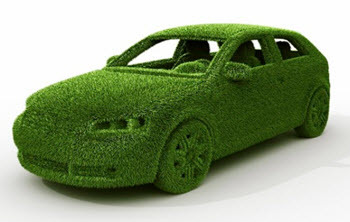 Things that don’t only make the car greener but also more economical and durable. Things that everyone benefits from doing. Wash your car and engine regularly. Grit and dirt can increase friction, reduce heat exchange and otherwise effect the car. By washing your car you will also extend its lifespan. Change air and oil filter regularly. Both are very cheap to replace and it is something you can do yourself without the need of a mechanic. By changing the filter you allow the car to work more efficiently. Regularly change oil. By checking the oil levels and changing the oils you can improve the performance of the engine. Use new high quality tires. Old tires does not offer the same grip and might not roll as well as new tires. This increase the fuel consumption and pollution. You should always replace your tires before they get too old. Before you and your car start suffering from the deterioration of the tires. Chose a more economical tire. Some cars perform better and are more economical if they are fitted with specific tire dimension. This is not necessary the dimension that the car has from the factory. The factory tire is chosen to work in all conditions. Another tire type or dimension might be a better choice in your local area with your local climate. Many tire stores such as this one will be able to help you find the perfect tire for your car. If your local tire company cant help you then you can choose to ask in a mileage forum such as Fuelly instead. You can learn more about how to reduce your gas consumption on this government website. Public transportation is still the best way to get around and large governmental campaigns are trying to get the general public to understand this. Mostly running on electricity and carrying the passengers of several cars public transportation is both clean and effective. Even buses are good for the environment depending on how many passengers it carries. Implementing new inventions on buses though will make them as environmentally friendly as any tram or subway. Carpooling works sort of as public transportation but in a much smaller scale. One car with five people inside produces much less pollution than five cars with one person in each. Carpooling can also help the general public to avoid traffic jams since there will be a lot less cars on the roads going from point A to point B, a steady flowing traffic also means less pollution. With the modern means of communication, Internet and cell phones, car pooling is easy and everybody will benefit from it, both economically and medically. A new type of carpooling is ridematching where you find a new carpool every time you are going somewhere. You meet up with different people going to the same place you are.